What could possibly be better than a shrimp dinner? 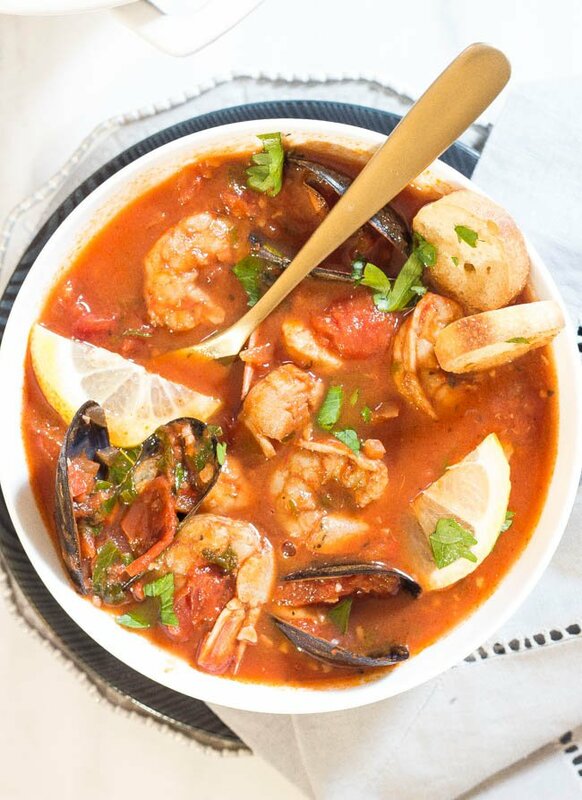 An Easy, One-Pot Cioppino dinner with healthy, wild-caught shrimp, scallops and mussels! A flavorful stew with tomatoes, garlic, fresh herbs and more. Perfect for entertaining or a quick weeknight meal.